Picking the Best Toilet Fill Valve of 2019 - Reviews and Comparisons! / Picking the Best Toilet Fill Valve of 2019 – Reviews and Comparisons! Picking the Best Toilet Fill Valve of 2019 – Reviews and Comparisons! Last Update March 24th 2019: A leaky toilet is more than just an annoyance, isn’t it? 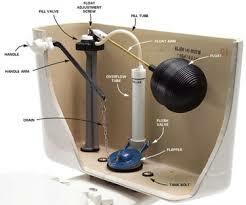 Did you know that a leaking toilet alone can waste hundreds of gallons of water every day? What about the increased water bill that this may result in? 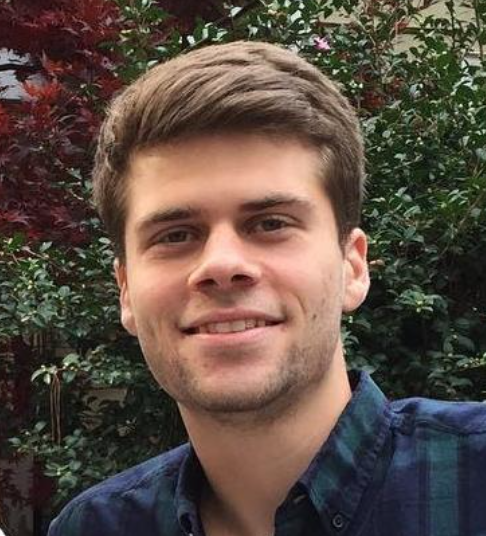 The fact is that you can solve this issue with a little time set apart for maintenance. Your toilet’s leakage may be due to several reasons, the commonest of which could be a faulty toilet fill valve. Read on to find out more about what fill valves are and their types, as well as the best of them out there for your perfect washroom experience. Owning the best toilet fill valve possible will prevent you from wasting money, and will keep your toilet running smooth! Because there are so many toilet valves available on the market, it can be difficult to decide which one will work the best in your time of need. Thankfully, we’ve been able to test quite a few of these toilet valves, and we have created a handy comparison table of our favorite toilet valves. Below you will see a comparison table of a few toilet valves and a quick overview of their features and specifications. Below this you will see more in-depth reviews of these pieces. 2 The Cause of Leakage—Is It Really the Fill Valve? 3 What Exactly is a Toilet Fill Valve? 6.0.1 Get the Cheapest Price on Amazon! 7.0.1 Get the Cheapest Price on Amazon! 8.0.1 Get the Cheapest Price on Amazon! 9.0.1 Get the Cheapest Price on Amazon! 10.0.1 Get the Cheapest Price on Amazon! 11.0.1 Check out Prices and Reviews Here! 12 Korky vs Fluidmaster Fill Valves – Who Do I Prefer? The Cause of Leakage—Is It Really the Fill Valve? A toilet leakage may be due to two main valve defects: a malfunctioning flush valve or a fill valve. There is a shank inside the flush tank, not attached to the float. That is the overflow tube. If water level is below the top of the tube, then the problem lies with the flush valve. If water is overflowing into the tube, then the toilet leak is due to fill valve malfunction. That being said if there is water leaking around the bowl, then it could be the toilet seal or even a constantly running toilet flapper. 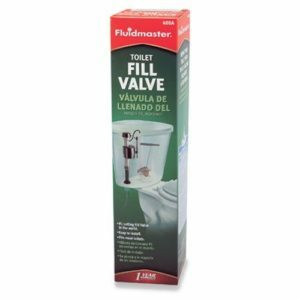 What Exactly is a Toilet Fill Valve? Fill valves, or ballcocks are devices that regulate water flow in your toilet. Traditional models have these ball valves attached to a float via a float arm, made of brass or plastic. The floats are empty ball-shaped structures, serving to open or close the fill valve according to the water level inside the tank. Flushing will empty the tank, causing the float to droop to the bottom. This opens the fill valve and water enters the tank from the supply line attached to its base. 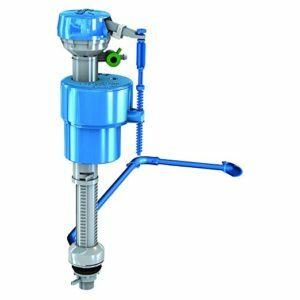 When water level reaches a set height, the float that has risen with the water closes the fill valve, cutting off the water supply. This height can be adjusted in most modern fill valves. Thus the toilet is set for another round of flushing and the process repeats time after time after time. As you can see, it’s extremely important to have the right fill valve so that this process runs smooth every single time. That being said, if you are noticing any leaking around the base then I’d suggest you take a look at the toilet flange for any cracks. Plunger or Piston Type: These are the traditional ballcocks, almost exclusively made from brass. The lever principle outlined above raises or depresses a plunger in the valve, to allow water in or to cut off the supply. Diaphragm Type: These ballcocks, made either of brass or of plastic, functions similar to the plunger type. The main difference is a button replacing the plunger of the traditional type. Floatless Type: This is made out of plastic, and eliminates the use of ball and rod. A diaphragm at the tank’s bottom senses the pressure inside the tank and lets in water accordingly. It is great for low profile tanks because of it smaller size. Float Cup Type: These newer type valves were developed in the 1950’s with a float cup that moves along the fill valve shank. The cup’s height is determined by the placement of a spring clip connected to a pull rod that turns the valve on or off. Coming from one of the pioneers in the industry, this model claims to be the quietest and most powerful fill valve out there. With a 7 year warranty, the PerforMAX® model is a universal fit for all toilet brands including Kohler, American Standard and TOTO. 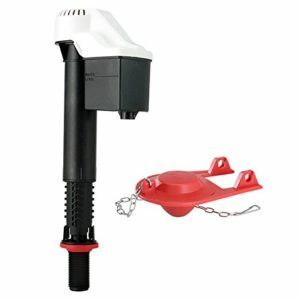 It guarantees 2 times greater refill rate than standard fill valves and is suitable for: high efficiency toilets HET 1.2 gallons; dual flush toilets including DUO FLUSH; 1.6 gallon toilets with 2 and 3 inch flush valves of 1994 or later models and those with 2 inch flush valves for pre-1994 toilets. This is one of the best toilet flush valves on the market currently and it’s the one I currently use in all my toilets. This piece is extremely durable and I haven’t had any problems with it, and even if you did, the seven year warranty ensures that you have nothing to lose. As for the installation of this valve, it took my literally five minutes to install it, and I am no where close to being a plumber! It’s extremely simple, and the instructions are clear as day. Along with this, I was extremely pleased to see that this piece is compatible with high efficiency toilets. Out of all my toilet fill valve reviews, this one takes the cake not only for how great it is as a product, but also how great Fluidmaster is as a company. With a 5 year warranty and dimensions of 15.7 by 15.5 by 12.9 inches, this corrosion-resistant model replaces the traditional ballcocks. 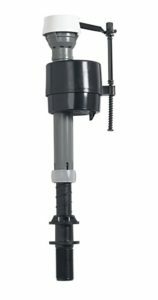 Claiming quick refill and universal fit for one and two piece toilets, this model is an easily installable fill valve with a 9 to 14 inches height adjustment. The code approved anti-siphon valves allow water flow in only one direction, preventing backflow of water from the flush tank to avoid contamination of fresh water supply. 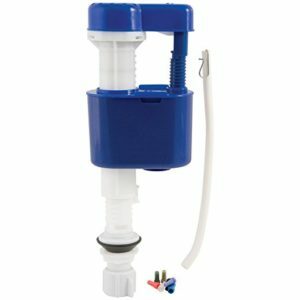 Overall the FluidMaster 400A Anti-Siphon Toilet Tank Fill Valve is extremely easy to install, and it really works quite well. Thankfully with any FluidMaster product, you are pretty much in good hands in terms of quality and ease of use! This easy installable model has a dimension of 4 by 2 by 12 inches. Traditional, transitional and contemporary styles raises the desirability of this model and it will fit well for most TOTO toilets. Other unique features include the self-generating hydropower named EcoPower and the availability of Hydrotect that reduces pollution. Made for two piece toilets, it has an adjustable height and flow rate. This model is called the best replacement valve for TOTO toilets, with about 80% to 85% more flushing power than conventional valves. I have found that this added flushing power is needed in households that have a lot of toilet users to ensure that no clogs happen! Overall TOTO is a great brand, and if you have a TOTO toilet then you should try to stick within the brand for replacement pieces, and I definitely recommend the TSU 99A.X fill valve! This 4 by 4 by 7.8 inches adjustable universal fit fill valve is engineered for strength and quiet operation. Designed to withstand high pressure, this valve fits leading toilet manufacturers such as Kohler, TOTO, American Standard, Gerber and others. Ideal for toilets since 1994, this valve is quieter than most models. It is engineered to fix no/slow filling, running and noisy toilets. Its refill adjuster prevents water waste in toilets and the innovative twist-lock adjustment makes this model’s installation easy. The valve adjusts from 7-3/4 to 13-1/2 inches. 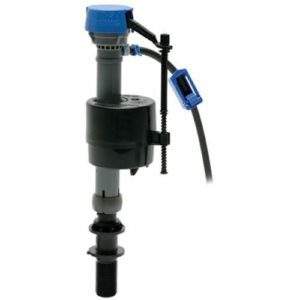 Overall this small fill valve is a great performance fill valve and it is quite durable. Aong with this, it fits on quite a few different toilets to help any flow issues you might have! Made out of rubber, this 3 by 3.2 by 12.8 fill valve claims to resolve two of the biggest reasons for water loss in toilets: leakage and miscalibration. The built-in mini valve calibrates easily to adjust the right amount of water needed in the tank, leak detection and audible warning avoids the chances of water going to waste. The cleaning tube in this model lets loose jets of water to create a whirlpool inside the flush tank, so that sand and other materials would be washed away, avoiding debris build-up at the bottom. The height of the valve can be adjusted from 11 to 13.8 inches. 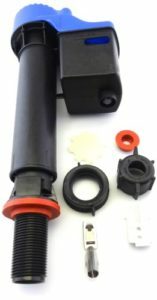 Overall this rubber fill valve is a great option for someone that is trying to save water by fixing leaks and slow flows. Designed for fast and quiet refill, this model contains 6 colour-coded Water Flow Adjustment Caps to adjust water savings up to 38%. The quick action water shut off prevents continuous running of the toilet. It has a patented after installation adjustment from 8 to 13 inches and fits almost all two piece toilets including American Standard, Kohler, Glacier Bay, Mansfield, Eljer, TOTO, etc. It features a fast, powerful flush and quiet water fill. This model has limited warranty. Overall this is one of the best toilet flush valves available for someone that is looking for a budget fill valve that will still serve them well! Check out Prices and Reviews Here! Korky vs Fluidmaster Fill Valves – Who Do I Prefer? After doing a bit of research on toilet tank fill valves, you most likely have ran across the companies Korky and Fluidmaster. Both of these companies are pretty well known and respected in the plumbing industry. I have used both of these companies for a quite a few different toilets over the years, and to put it simply, you can’t go wrong with either of them. That being said, for everyone of my toilets at my house I actually prefer to use Fluidmaster valves. The reason being that I personally have had less Fluidmaster valves break than I have Korky. I will be completely honest, this could simply have been luck on my part, and it is really just personal preference. Korky makes great products that are durable, but after using Fluidmaster for so long, I find myself sticking with them! That being said, when you are looking for the best toilet valve, either of these companies are a great start! If you are someone that suffers from hard water at your home, it can be difficult to find a fill valve that works consistently without struggling with your hard water. I’ve seen certain fill valves become clogged and strained with the added stress hard water can add, so it’s extremely important to have a toilet flush valve that can handle high pressure and is durable enough to withstand the minerals. As for my favorite choice, I would definitely recommend the Fluidmaster PerforMAX® 400ARHR High Performance Toilet Fill Valve. The Fluidmaster PerforMAX 400ARHR which we did a review about more in-depthly above, is simply one of the most powerful, and durable valves on the market today. This product allows you to not have to worry about the valve getting clogged with hard water minerals, or being corroded until broken. The PerforMAX allows you to maintain a powerful toilet fill, consistently and for a long period of time. Overall, if you are someone that faces issues from hard water, then I would definitely suggest you take a look at the PerforMAX 400ARHR High Performance valve to help give you the power and durability to push through the hard water minerals in your system! That being said, if you are interested in trying a water softener, take a look at our ScaleBlaster Water Softener Review! 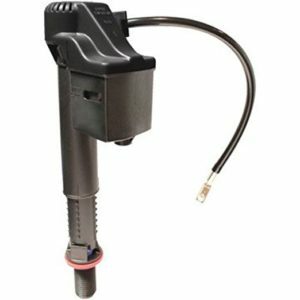 Over the past few years, I’ve received a handful of questions relating specifically with TOTO fill valves constantly running. This can be worrisome because when a toilet is running, then you are wasting water. That being said, I have found two usual suspects which causes these issues. Check the filter screen under the cap: If you have a running TOTO valve, there could be an issue with the filter screen being clogged which makes the valve constantly run. All you have to do is unscrew the cap of the valve, and pop out the little screen with a pen. From there wash it off, and make sure there isn’t anything caught in the screen. Place the screen back into it’s spot, and screw the cap back on. Try flushing the toilet and see if the issue is fixed. Replace the Fill Valve Cap: If the first option didn’t work, then the next solution is to replace the entire fill valve cap. Thankfully, caps are only a few dollars, and replacing the cap is as simply as unscrewing the old cap, and screwing on the new toilet valve cap. Out of all the water on the earth’s surface, only 1% is ever available for human use, the rest being locked up in glaciers and oceans. With such a low amount of water in our reach, an average person uses up at least 6.4 gallons (24 litres) of water every day for flushing the toilet. Imagine how much it goes to waste when the toilet is leaking on top of it! Hundreds of gallons every day, adding to your water bills! When a leak disturbs you, the first step would always be to find out the cause; and if it turns out to be a fill valve problem. At the end of the day, owning the best toilet fill valve for your toilet will help prevent this waste, and will help to make sure your toilet is always running properly!